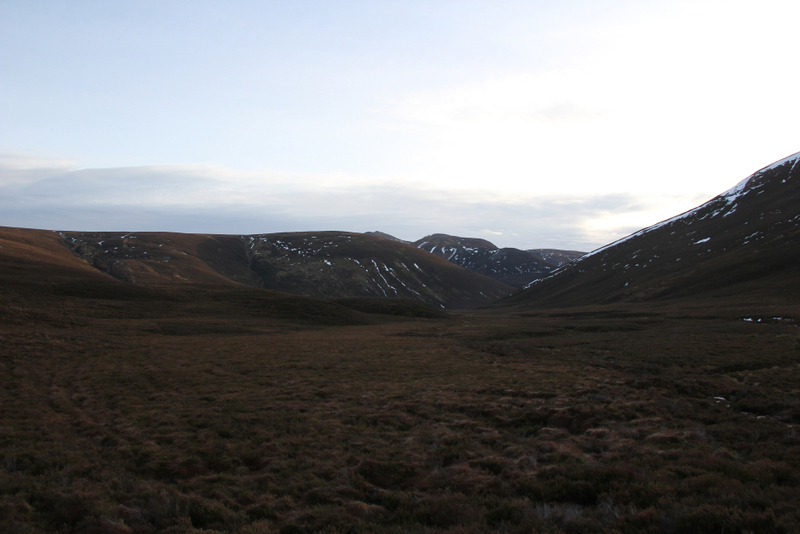 On Wednesday morning, I drove to Glenmore Lodge with a view to undertaking an ascent of either Meall a' Bhuachaille or Bynack More. 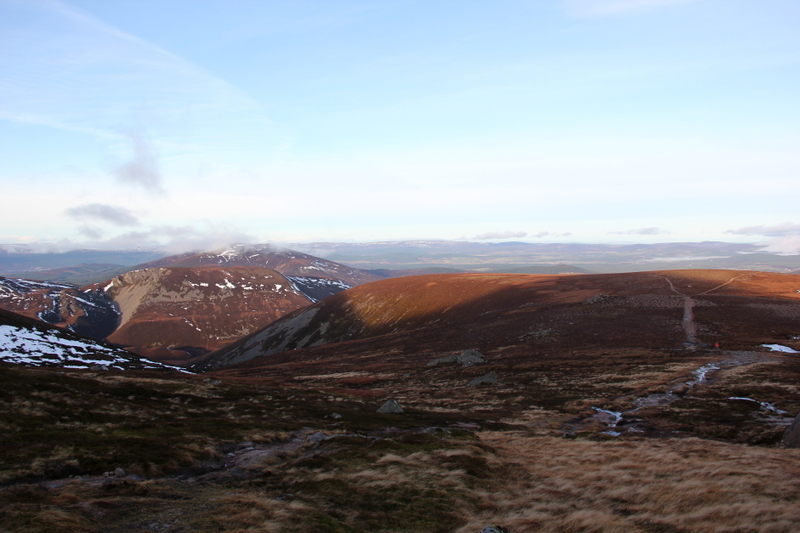 Having ascended each of these hills three times previously, I left the choice to Ann-Marie who elected for an ascent of Bynack More. 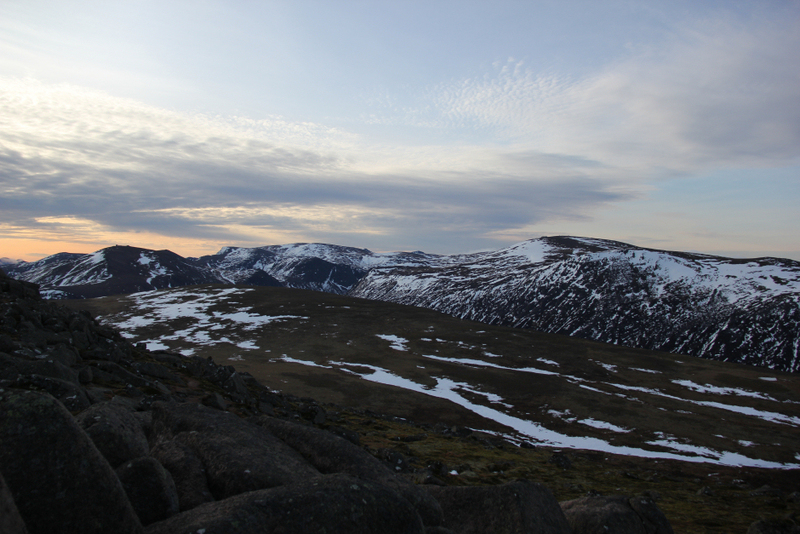 The Cairngorms weather forecast was good and the actual weather turned out to be even better. With high temperatures and significant snow melt in the days previous, the avalanche risk was nil as most of the snow had melted. We carried ice axes just in case but these remained attached firmly to our packs throughout the walk. 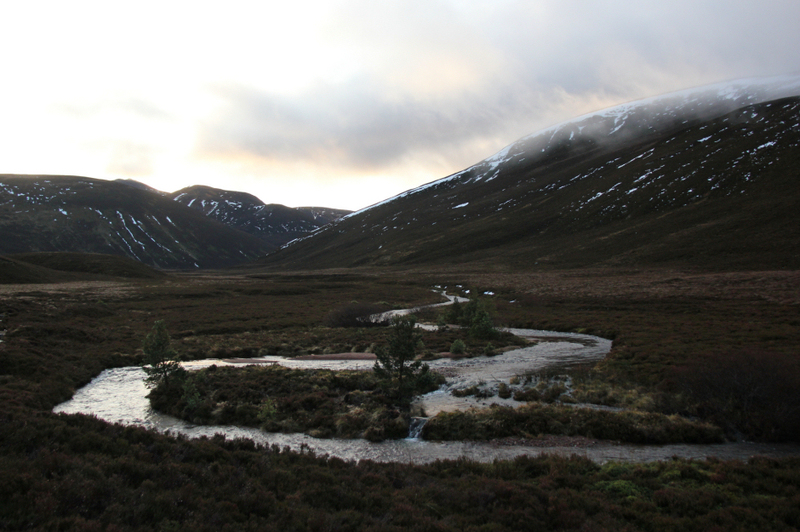 We set off walking from Glenmore Lodge along the track leading to An Lochan Uaine and beyond to the RSPB Abernethy reserve. 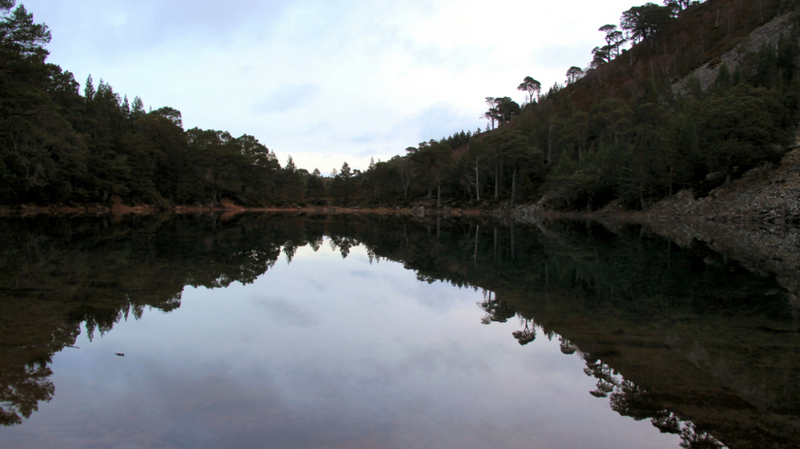 A stop at An Lochan Uaine (the Green Lochan) is always a necessity. 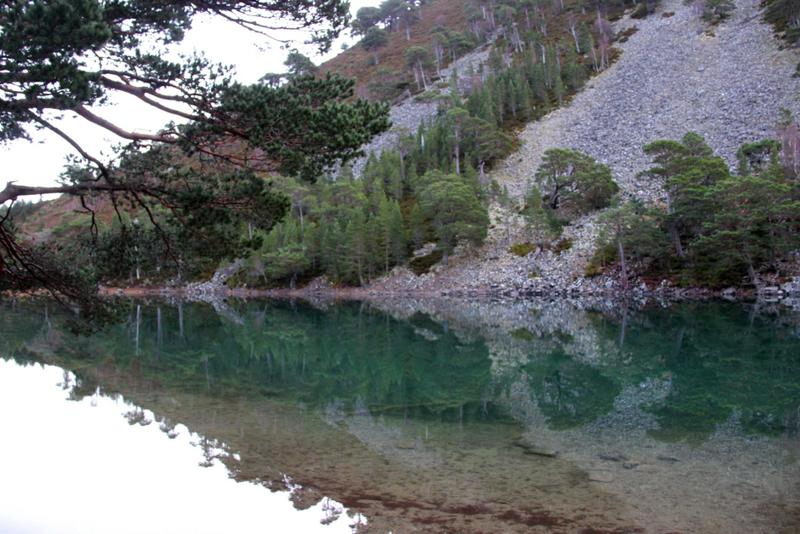 I suspect the lochan is green due to copper salts in the water but haven't been able to confirm this theory online. We spent 10 - 15 minutes visiting each end of the lochan taking numerous photographs of reflections thanks to the flat calm. 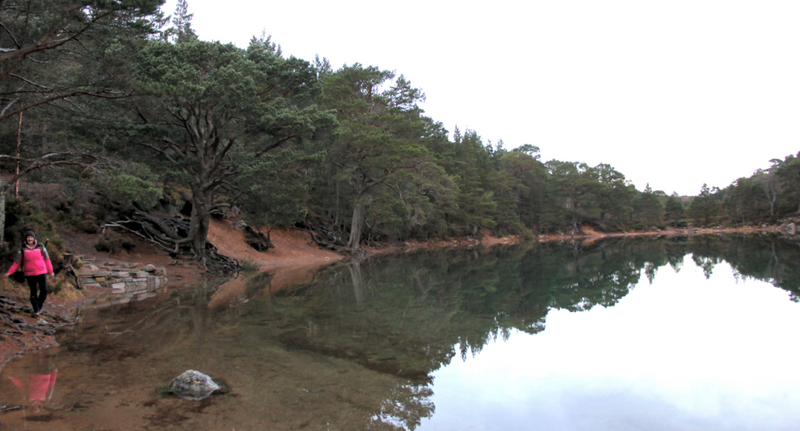 From An Lochan Uaine, we continued on to the junction of tracks taking the track leading towards Strath Nethy. 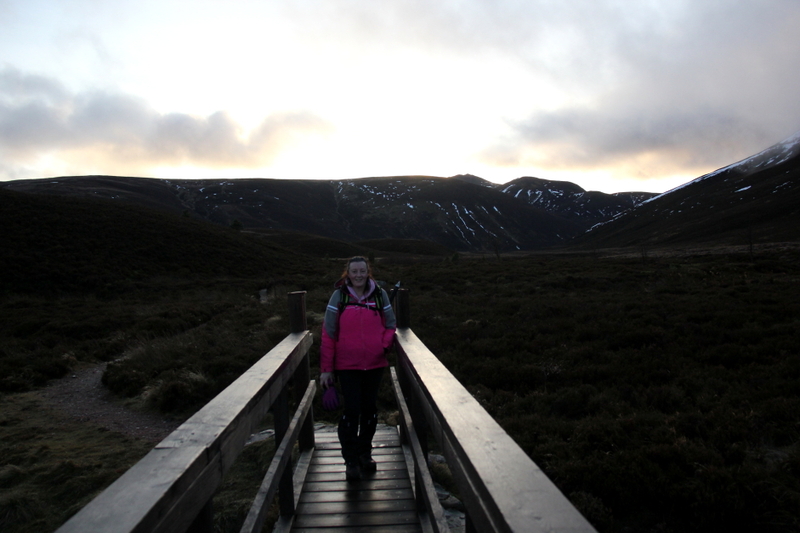 After walking circa one mile beyond the track junction, we crossed the small bridge over the River Nethy before commencing our ascent of Bynack More. The ascent was straight-forward thanks to the excellent path and gentle incline. Throughout the walk we were treated to blue skies and mild temperatures albeit as we gained more and more height there was a bit of windchill. During the ascent we stopped briefly just the once for a bite to eat and drink. 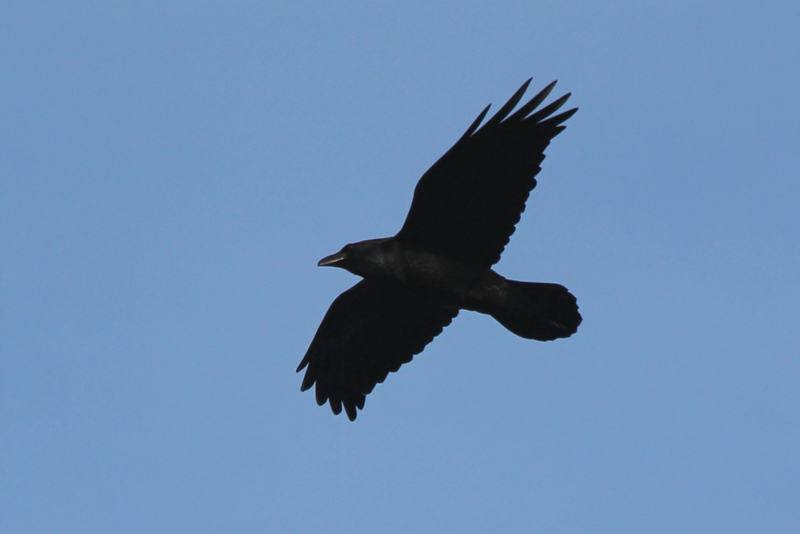 On approaching the summit a solitary raven flew past just above us. 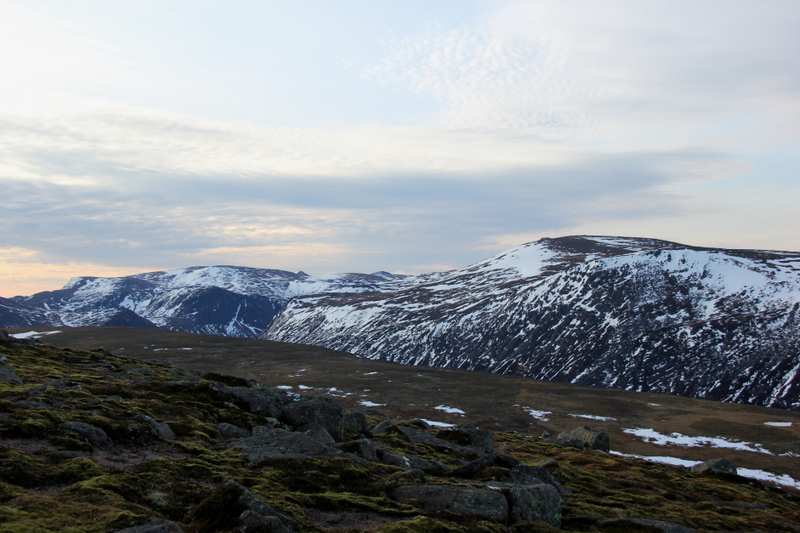 As we made our way along the final section of ridge we were treated to fantastic views across to Cairngorm and beyond into the heart of the Cairngorms. 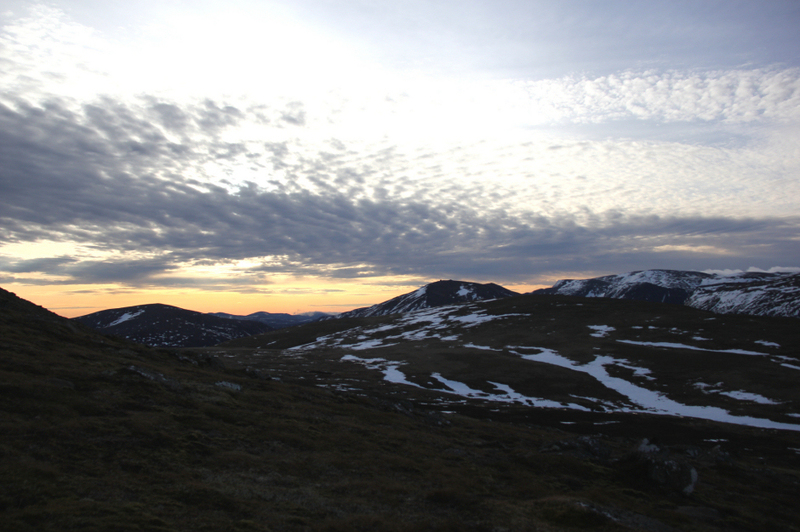 Bynack More provides great views of Cairngorm, an extensive mountain with lots of interesting features and fantastic wildlife that is often maligned for the mess of ski tows and the funicular railway which thankfully only spoil part of this fine mountain. 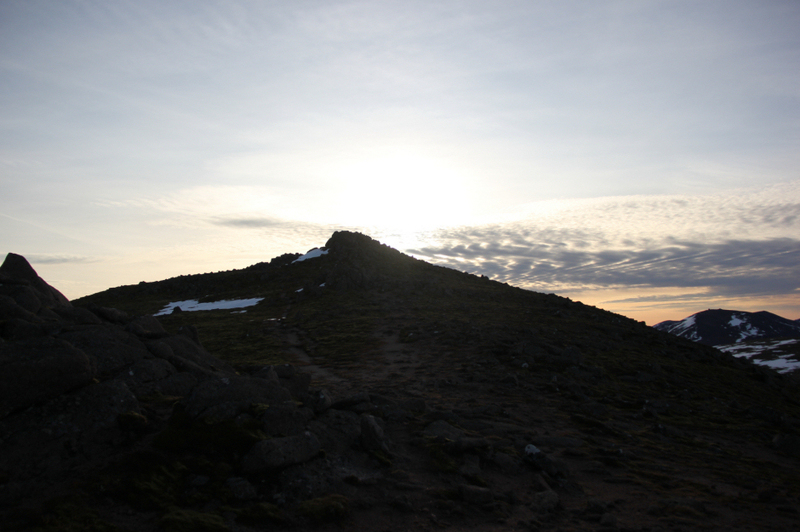 The views on approach to and from the summit were special thanks to an orange glow in the sky. 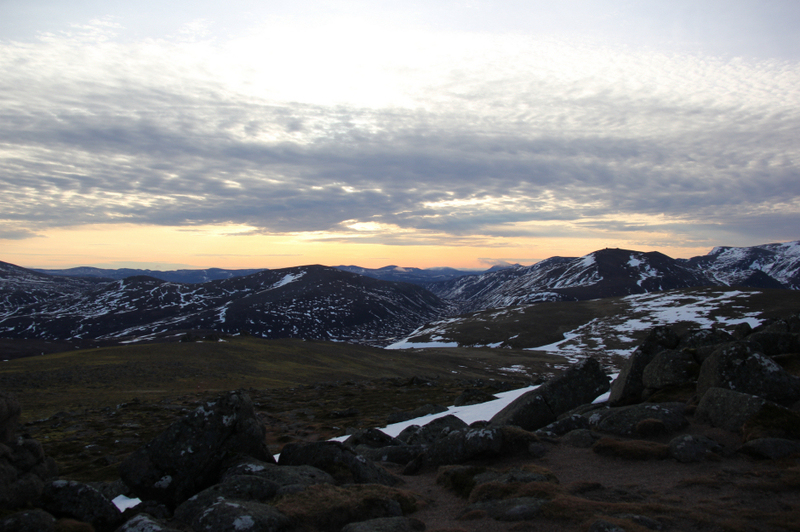 I must have taken around 40 photographs from the summit some of which I have subsequently stitched together. 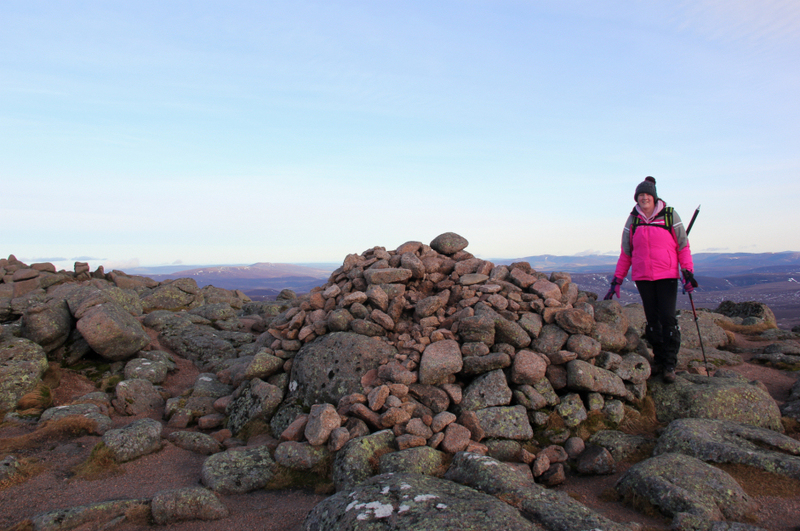 We visited the summit rocks circa 50m from the cairn before also visiting the cairn. 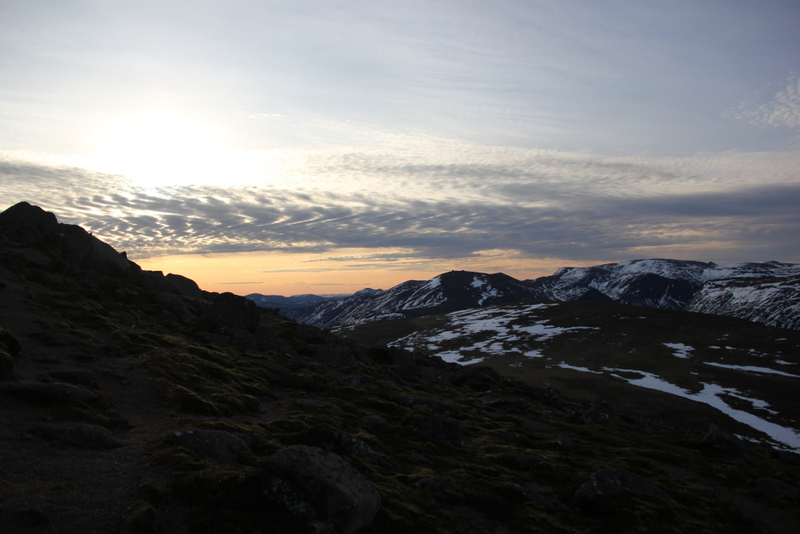 Well done to Ann-Marie on summitting her first Munro. 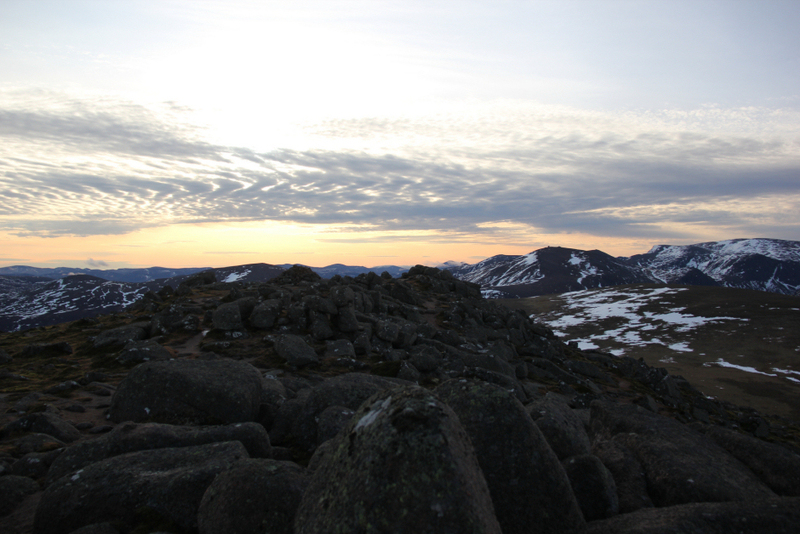 From Bynack More we made our way across to also summit Bynack Beg, a Munro Top of Bynack More. 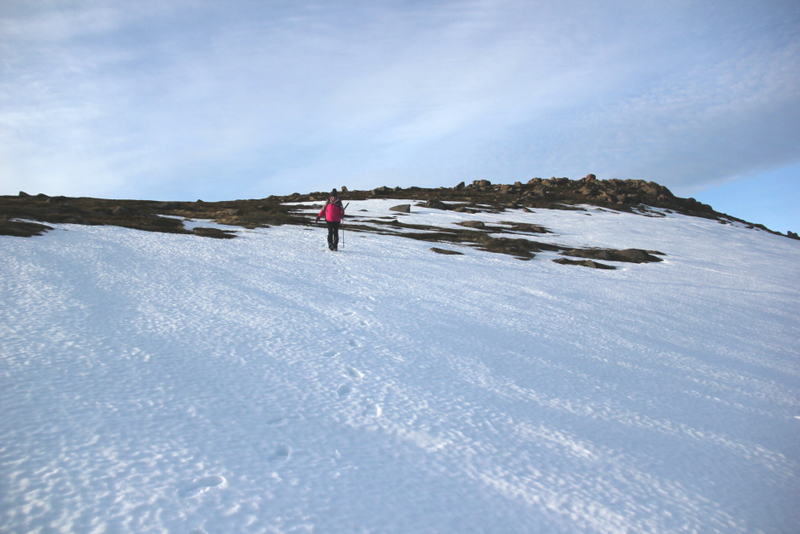 In descent, we made our way down some snow patches. We returned to the car via the same route. While it would have been nice to extend the walk with a visit to nearby Ryvoan bothy, on this occasion we opted to return directly as we both already had a few aches and pains.